The creature stopped right next to the SUV and fell into a crouch. It was close enough so its breath fogged Butch’s window on the exhale, and up close, the thing was hideous. White narrowed eyes. Snarling jowls. And the full set of fangs in its gaping mouth was right out of a fever nightmare. Black blood ran down its chest like crude oil. The beast lifted its muscled forelegs. Jesus, those claws were like daggers. Made Freddie Krueger’s set of fun and games look like pipe cleaners. But Rhage was in there. Somewhere. Butch put his hand to the window, as if he could reach the brother. The creature cocked its head, white eyes blinking. Abruptly it heaved a great breath, and then the massive body started to shake. A high, piercing cry came out of its throat, cracking through the night. There was another flash of brilliance. And then Rhage was lying naked on the ground. I love the monster, but I don’t like Rhage’s personality. Sometimes he acts like a spoiled child, claiming whatever he feels like claiming. Maybe it has something to do with his beast being territorial, I don’t know, but it’s not a nice characteristic. He is big buds with V and Butch though, and seeing their bromance always makes my day. Mary I did like. She’s not a very happy person because of the things that happened to her, and who can blame her? I like how she is befriended with Bella, her neighbour, and I wish there was more page time of them together. There is this recurring theme in the books where the men get more “friend page time” than the females. I wonder if this changes as the series progresses, because the females are just as interesting as the males. Mary isn’t always very subtle or very nice to Rhage, but I could understand where she’s coming from, and I liked seeing her soften up throughout the book. The last few chapters of Lover Eternal both serve as a resolution to this book and as an intro into Lover Awakened. The action in this book sets the wheels in motion to create the setting in which the next will play out. 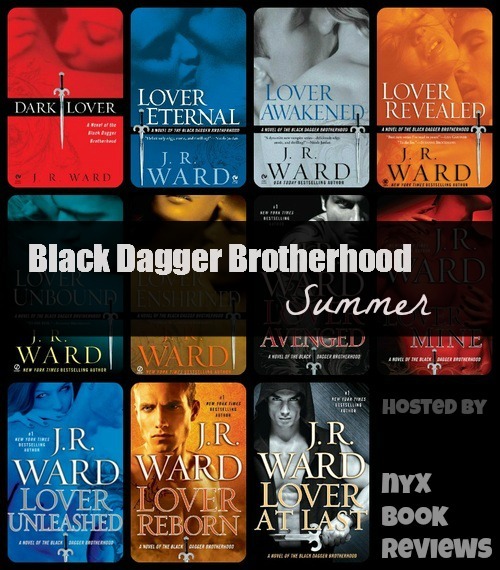 I love how these story lines kind of overlap, and when I finished Lover Eternal, I wanted to continue immediately. 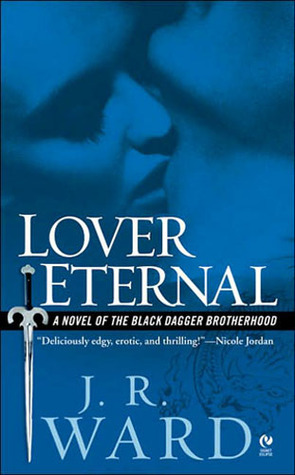 Since I love Lover Awakened so much, Lover Eternal feels a bit like a middle book for me – probably because I’m so impatient to get to Zsadist’s story.